Dean's Lecture Cass - What if ... the stock market disappears? EVENT REGISTRATION IS NOW CLOSED. PLEASE CONTACT THE ORGANISER WITH FURTHER ENQUIRIES. "What if ... the stock market disappears?" Stock markets fulfill two functions: they enable firms to raise capital by issuing shares to the public, and they serve as a trading venue for the shares, thereby providing liquidity to shareholders. But in many countries, stock market listings are falling out of favor, partly as a result of an ever increasing regulatory burden and pressure from activist shareholders. What are the consequences of these trends for corporate investment and economic growth? 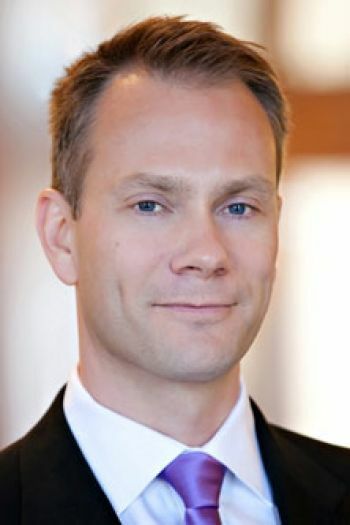 Professor Alexander Ljungqvist holds the Ira Rennert Chair in Finance and Entrepreneurship at New York University Stern School of Business, where he is the Director of the NYU Salomon Center. He is a Research Associate of the National Bureau of Economic Research in Cambridge, a Research Fellow of the Centre for Economic Policy Research in London, a Founder and Senior Academic Fellow of the Asian Bureau of Financial and Economic Research in Singapore, and a Fellow of the Research Institute of Industrial Economics in Stockholm (IFN). He has previously served as Editor of the Review of Financial Studies, a leading scholarly journal. His research interests include corporate finance, corporate governance, investment banking, IPOs, entrepreneurial finance, private equity, venture capital, and asset pricing. He has published articles in these areas in all leading scholarly journals, including the Journal of Political Economy, the Journal of Finance, the Review of Financial Studies, and the Journal of Financial Economics. In 2011, he was honored with the Kauffman Prize Medal. The recipient of several teaching awards, Dr. Ljungqvist teaches an MBA class in new venture financing, a PhD seminar in corporate finance, and executive courses in venture capital, private equity, and investment banking. He has previously taught at Harvard Business School, Oxford University, Cambridge University, and London Business School. Currently, Dr. Ljungqvist serves on the Nasdaq Listing Council, the board of a European biotech start-up, and the World Economic Forum’s Council of Experts on Alternative Investments.